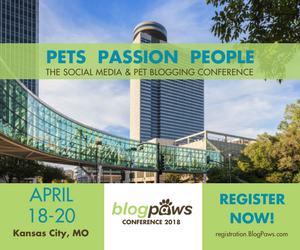 Steve Dale reaches more pet owners than any other pet journalist in America and now he’ll be adding BlogPaws Keynote Speaker to his ever-expansive resume. Steve Dale, CABC (certified animal behavior consultant), reaches more pet owners than any other pet journalist in America and now he’ll be adding BlogPaws Keynote Speaker to his ever-expansive resume. Steve writes a twice-weekly syndicated newspaper column (Tribune Media Services, since 1995); he’s a contributing editor at USA Weekend (since 2002) and he blogs at Petphoria. Host of two nationally syndicated radio shows, Steve Dale’s Pet World and The Pet Minute (together heard on over 100 radio stations, syndicated Black Dog Radio Productions, since 2001), he is also a Chicago Tribune blogger and contributes blogs on various other websites, including for Victoria Stilwell. Dale also appears on television, is a published and awarded author, and he gives back to and for the animals. Shih is a pioneer in the technology industry, as an engineer, celebrated author, thought leader and successful technology entrepreneur. Shih has been named one of FORTUNE’s Most Powerful Women Entrepreneurs of 2011, one of Fast Company’s Most Influential People in Technology, and one of Businessweek’s Top Young Entrepreneurs. She brings a wealth of experience from previous technology, product, and marketing positions at Google, Microsoft, and Salesforce.com. David Frei is well-known to millions of television viewers as the longtime (since 1990) co-host of USA Network’s annual telecast of the popular Westminster Kennel Club Dog Show from Madison Square Garden in New York. In connection with that role, he has made many appearances on network shows such as The Today Show, Good Morning America, The View, Martha Stewart, and more. But he is most proud of the wonderful work that his own dogs do as therapy dogs, regularly visiting at the Ronald McDonald House New York, Memorial Sloan Kettering Cancer Center, and the VA Medical Center in New York. His Brittanys, Teigh and Belle, who have recently passed, pioneered the practice there and in many other places, and his Cavalier, Angel, and Brittany, Grace, are carrying on for them today. His second book, Angel On A Leash, about his work and observations in the world of therapy dogs and his life in dogs, came out to rave reviews in November 2011. After christening it, Dog Files, and making Max the mascot (that’s him in the logo), he began to travel around the country documenting how involved dogs are in all our lives. From ice cream socials to rescue groups to military working dogs, Kenn’s hope with the Dog Files is to let the world know that dog’s deserve our love, care and respect. Learn more about Kenn Bell and why he created the Dog Files as he takes the Pet Blogger Challenge. Iain is a digital leader with 19 years’ experience managing digital media businesses, with P&L responsibility and functional expertise in marketing, sales, operations and product management in leading U.S. and European public companies. He is General manager of Discovery Digital Media’s leading animals, autos and emerging network businesses; including Animal Planet and Petfinder. Harrison’s over 20 year career as a dog trainer and animal behaviorist has propelled him into the spotlight as a highly sought after pet expert for national news stories, best selling author, and popular radio/TV host. More than just a dog lover, Forbes has owned and raised raccoons, snakes, and small primates and is fascinated by all animal behavior. Harrison began hosting “Pet Talk” Radio Show at News Talk FM 101.5 in February of 1994. In 1996 he won an Excellence in Media Award from the Tennessee Veterinarian Medical Association. He also began hosting a statewide TV show called “Let’s Talk Tennessee” with former Miss America Kelley Cash and followed next season with “Pet Talk” TV. “Pet Talk” radio went on to national syndication in Los Angeles, New York, and 80 other markets for several years. His illustrious and extensive career in dog training has propelled Forbes into becoming the “go-to” guy for national pet stories. He appeared on “Larry King Live” discussing the Michael Vick case, is the resident pet expert on “Live with Regis and Kelly”, and has appeared on the Fox News Network, CNN, “The CBS “The Early Show”, and “The Today Show”. He is a contributor to People Magazine’s peoplepets.com and bestselling author of the book “Dog Talk”. Blerina joined Google in 2011 as a Senior Account Manager, focusing on retailers who market and sell their products online. In her current role, Blerina helps her clients define their digital strategies and maximize their advertising opportunities with Google. Prior to Google, Blerina worked at iCrossing and Clickable, as a Media Manager and Account Associate, respectively. In both positions, she helped small and medium sized businesses grow their digital footprint and bring their businesses online. Blerina has a B.S. in International Business Management from Menlo College and an MBA from Golden Gate University. Her fluency in five languages and her volunteer work with the World Bank has allowed her to travel around the world. She has finally settled down in Brooklyn, NY where she lives with her husband and their cute (but feisty) cat named Li Li Double Rainbow. Dorothea will be speaking on the do’s and don’ts of using Pinterest for business. Her presentation will communicate best practices and successful strategies from real life case studies. Darlene Arden, an award-winning writer, lecturer, and author is internationally recognized. A Certified Animal Behavior Consultant specializing in dogs and cats, Darlene writes and lectures about behavior, wellness, pet training and writing. Darlene Arden’s passion for helping animals live longer and better lives shines through in all she does. Pam Foster, owner of PetCopywriter.com and Managing Editor of Content & Communications at LifeLearn, Inc., is a seasoned marketing communications writer and blogger in the pet and veterinary industries. Her specialty is optimizing blogs to attract more readers via search engines, blending helpful or entertaining blog posts with strategic keyword use throughout… leading to more readers! Kimberly Gauthier is the Editor In Chief of Keep the Tail Wagging, a premier online magazine that shares dog care tips from the point of view of the dog mom to 3 Cattle Dog mix rescues. Kimberly started blogging in 2009 about photography, teaching herself about blogging, social media, and PR along the way. She launched Keep the Tail Wagging in December 2011 and has been able to build a loyal and active audience of dog lovers quickly by identifying her micro-niche within the niche of dog blogging. Today, Kimberly has over 14,000 followers on Facebook and Twitter, works regularly with reputable pet brands like Halo Pets and Petco, and connects daily with dog lovers and other pet bloggers. Keep the Tail Wagging is fast turning into a business and she has 5 rescue dogs to thank for the inspiration. Joanne McGonagle is the author of The Tiniest Tiger, an educational children’s book that compares and contrasts the similarities and differences of the domestic cat with their big cat cousins and An Ordinary Toad’s Extraordinary Night, about a young toad named Andrew that wonders if his life would be better had he been hatched a frog. Her blog The Tiniest Tiger’s Conservation Cub Club is both educational and whimsical in its mission to reach cat lovers and promote the message that small paws united can make a big difference. Joanne has an MBA and Master in Zoology GFP. Mary K. Engle directs the Federal Trade Commission’s Division of Advertising Practices. The Division is responsible for regulating national advertising matters, including claims about food, OTC drugs, dietary supplements, alcohol, tobacco, and Internet services. The Division also enforces the Children’s Online Privacy Protection Act, a statute regulating the online collection of personal information from children. Crystal Gouldey is an Education Marketing Associate at AWeber, the leading email marketing service provider for small businesses, where she works with business owners to grow their marketing efforts. An experienced optimization consultant, Crystal has consulted with over 500 businesses to improve their email marketing efforts for optimal results, and regularly provides marketing training to AWeber customer solutions staff. David Pisarra is a Family Law Attorney in Los Angeles Ca. His book, What About Wally, tells his story of learning to co-parent his dog with his ex. Using his expertise as a divorce lawyer her developed a parenting plan to accommodate the best interests of his dog, and in the process healed the hurt of a broken relationship. Annie Hart joined Bill Foundation Dog Rescue and the social media community in May 2012. Before that, she spent years working in advertising on the Apple brand. Starting from scratch, she developed Bill Foundation’s global social media presence. In just ten months she created a following of over 27,000 engaged followers on Facebook and several successful viral rescue videos on YouTube. Jodi Stone: I’ve Started A Blog, Now What? Sybil F. Stershic, president of Quality Service Marketing, works with organizations to strengthen employee and customer relationships. A respected thought leader and blogger on engaging employees through internal marketing, she is the author of Share of Mind, Share of Heart: Marketing Tools of Engagement for Nonprofits, Taking Care of the People Who Matter Most: A Guide to Employee-Customer Care, and the Quality Service Marketing blog. She also teaches marketing workshops nationwide for business and nonprofit professionals. Kristin Elliott is the proud owner and innovator of Doodie Pack, LLC, which “give(s) your dog a job” while out on walks and hikes. With her socially conscious attitude and passionate demeanor, Kristin has served thousands of dogs and their families. Her innovative spirit has taken her across the country to speak about entrepreneurship, owning, and running a successful business. Kristin shares her time with husband, Rick, and three beautiful daughters while balancing life as a full-time science teacher. Pete Wedderburn BVM&S, CertVR, MRCVS qualified as a veterinarian from Edinburgh, Scotland in 1985. He has worked in his own 4-veterinarian companion animal practice in County Wicklow, Ireland, since 1991, and he has his own menagerie of dogs, cats, ducks, hens and others (including a pet rabbit in his kitchen). Pete is well-known as a media veterinarian in Ireland and the UK, with a weekly breakfast television slot for the past decade and a weekly evening prime-time show in Ireland as well as weekly newspaper columns and radio broadcasts. He also write a regular blog at www.petethevet.com. Based in the UK, Matt has been following BlogPaws since pretty much day 1. He runs Pet365 (pet365.co.uk) – a UK based pet retailer, along with Hidden Pixel (hiddenpixel.com), which is a UK Digital Agency that works with businesses of all shapes and sizes. He has three dogs (two Miniature Schnauzers and a Giant Schnauzer), grew up on a farm, and has a fairly unhealthy penchant for Southern Comfort. Find him on his personal blog – mattbeswick.co.uk or Twitter – @mattbeswick. Amy Shojai, CABC is the award-winning author of 26 best selling pet books and blogs at www.AmyShojai.com. She has “kindle-ized” 7+ of her own books and presented for the Cat Writers Association and other writer conferences. She’s a founder of CWA, a member of DWAA, a blogger, a photographer, and a professional actor/speaker. Sandra Beckwith is a former national award-winning publicist who now teaches authors how to be their own book publicists. She works as a book marketing coach, publishes the free Build Book Buzz e-zine, teaches an e-course on book publicity and promotion, and offers training programs designed to help authors learn the best ways to promote their books. The author of four books of her own, Sandra also ghostwrites and edits books and proposals. Learn more at the links below. After years of blogging with barely moderate success, Dino decided to solve this problem by creating Triberr. Triberr is a free platform which enables bloggers to band together and share in each other’s audience. Outside of Triberr, he is a Strategic Marketing consultant, speaker, and Contributing Author to Engagement From Scratch, a collaborative effort which culminated in a book to bring the best-of-breed information about community building from such luminaries as Guy Kawasaki, Brian Clark and Mitch Joel. He’s also an avid motorcyclist, a lousy mixed martial artist and a failed musician. Mary Anne Shew is a business coach and consultant who has helped dozens of small businesses improve their marketing, operations, and sales. By getting clear on goals, getting things done, and getting results, her clients achieve their dreams of being successful business owners. Her national practice includes a wide variety of businesses and nonprofits. She is a popular speaker for business and professional groups and an entertaining business expert who presents high value seminars and workshops. Steven May, CVJ has provided his expert pet advice to both the veterinary industry and the general public for 38 years. The former publisher of VETZ Magazine and current editor of TechnoPET Magazine, May also heads the pet website The Daily Growl and has over 214,000 followers to his pet advice Facebook® page. Accredited by the American Society of Veterinary Journalists, he is the co-author of “What About Wally: Co-Parenting A Pet With Your Ex,” the first book that tackles the issue of the divorce of pet parents and the legal and dog behavioral issues that come with it. Mousebreath’s managing editor, Karen Nichols, is a well-known and respected influencer for a number of major pet (cat) brands. She has over 15 years of high-level web, interactive media development and social media experience. Mousebreath’s team is comprised of published cat writers with significant followings of their own. A professional pet photographer since 2008, Ali Peterson solely owns and operates Skyy Blue Photography, expressly named after her first dog. Ali shares her most current photographic work, photography tips, industry trends, and personal experiences through her pet-friendly blog. A new resident to Colorado Springs, Colorado, Ali and her three dogs focus on pets for both business and pleasure. Kimanzi Constable is an author who self-published two ebooks and sold over 75,000 copies, his first published book comes out in May. He is a life coach who helps people figure out what their dreams are and how to make them a reality. He is a consultant who works with companies worldwide on how to effectively find their target audience and truly connect with them through social media. He is an international speaker who last year spoke at events in 8 states and 4 countries. His mission is to help people live the full and abundant life they deserve. Robin A.F. Olson may be known for her multi-award-winning blog, “Covered in Cat Hair”, but she’s also an Art Director with over 25 years experience in advertising and promotions. Olson is a self-confessed geek, diving into the social media realm before it even had a name. She started one of the AOL chats. In 2010, Olson turned her love for cats into the non-profit rescue group: Kitten Associates, where her innovative program, “Kitties for Kids” just earned her the “Pet of the Year” award from the Connecticut Veterinary Medical Association. Robin Bisha, Ph.D. teaches journalism at Texas Lutheran University. She has published news stories in the San Antonio Express News and academic writing in a variety of journals and volumes of essays. She assists Cheshire Kitten in his work as news editor of The Anipal Times and host of his blog, CheshireLovesKarma.com. As a veterinarian and pet health care expert, Lorie Huston began her online writing career, including a pet health care blog, in 2009 as a means of educating clients and other pet owners. Realizing that marketing her writing was important to the success of her endeavor to educate, Huston set out to learn how to market herself and her work effectively. Doing so necessitated learning how to utilize search engine optimization and social media marketing. Currently, in addition to her own blogging and writing career, Huston also consults with and assists other pet-related businesses and organizations with their blogging and social media campaigns. Allen is a native of New Orleans, 64, Vietnam Vet, Lived in Vietnam, Japan, Turkey, Spoken Japanese & Turkish Photographer, Software developer Blogger for Blogpaws. Now retired from his pursuit of a “Guinness World Record,” Vinny the Pug has launched his final and most important quest ever. His objective to help lead the U.S. and Canada towards 100% NO-KILL by 2020. To do so, Vinny the Pug is harnessing the power of SOLEVEI to create Economic Linkage among Mobile Service, Social Commerce and Social Networking. Eldad Hagar, is an animal rescuer and co-founder of Hope For Paws animal rescue in Los Angeles, California. After resisting joining the social media world for many years, he finally decided to give it a try. That event changed the lives of of countless animals and people. In a two year period, Eldad exposed more than 50 million people to his rescue stories and videos (Internet, television, newspapers and magazines). His experiences inspired people from all over the world to take action, and participate in saving the lives of abused, sick and homeless animals everywhere. Lyvonne currently serves as an advisor to the incorporating service company Corporate Consulting, Ltd. She is also the co-founder and Chief Operating Officer of Essentials Enterprise, LLC, a company that owns and operates ecommerce stores, including the pet supplies store let’s be pets!. Prior to her recent ventures, Lyvonne practiced law in Texas and Pennsylvania for 12 years. Lyvonne is also a blogger who participates frequently in the Blog Paws Wordless Wednesday Blog Hop. Susan Getgood has been involved in online marketing since the early 90s, and watched the web evolve from the first browsers to the interactive communities we participate in today. In Fall 2010, Susan joined BlogHer Inc. where she currently serves as Vice President of Influencer Marketing. In this role, she connects social media influencers with the brands they love through mutually beneficial business and advertising opportunities. Debbie Jacobs CPDT-KA, CAP2, is the author of “A Guide To Living With & Training A Fearful Dog, which was a finalist in the 2008 Dog Writers Association of America’s annual writing competition. She lives in Vermont with her husband and 4 dogs. Toby Bloomberg is recognized for her expertise in combining social media with traditional marketing values (strategy, customer insights, segmentation) while maintaining the authenticity of digital conversations. She is the director of social media integration for Cox Digital Media where she has responsibility supporting Cox’s TV, radio and newspapers properties in developing and implementing social media initiatives. With a passion for design, technology, and user experience development, Ryan was destined to work with innovative technologies to unlock their full potential. Add to his passions, his years of working in the development and technology world, and the result is a person with specialized sills to help others find unique and innovative ways to use technology for their business. Ryan is a Serial entrepreneur and partner at OodleTech, a southwest Ohio based digital agency. Rose has over two decades of experience in building direct-to-consumer, multi-channel businesses with expertise in e-commerce strategy, direct response marketing, brand building, and consumer analytics/insights. Rose served as the Vice President of E-commerce for Ann Taylor and LOFT brands, where, much like the strategic Border Collie who gathers the herd together, she oversaw online marketing strategy and analytics for anntaylor.com and loft.com, focusing on bringing the brands to life in the online environment to drive multi-channel customer acquisition, engagement and conversion. Rose resides with her husband, daughter, 17-year old rescue dog, Pepper, and Fishy the Beta Fish. “A dog lover of the highest order,” is how Gayle King introduced Carol Bryant when she and her Cocker Spaniel, Dexter, appeared on Oprah Radio’s Gayle King show to dish dogs. A frequent media contributor, Carol has appeared on television, radio, and in print. A repeat nominee from the Dog Writers Association of America, Carol contributes to Dogster and Pet360 and is the PR and Marketing Manager for BlogPaws pet blogger social media community and conferences. She and her PR (Puppy Relations) Manager, Dexter, have attended all four BlogPaws conferences to date and she is active in canine rescue and fundraising. She is the founder of Fidose of Reality, a canine-centric online magazine dog blog where dog lovers of the highest order unite,™ a consistently ranked Technorati top 100 pet blog. Carol celebrates that her favorite comedian of all time, Jimmy Fallon, follows her on Twitter. Paul C. Jorgensen is an energetic and popular speaker and instructor on intellectual property, contract drafting and negotiating, Internet issues, legal writing and professional transitions for both attorneys and non-attorneys. In 2006, Mr. Jorgensen founded The Jorgensen Law Firm PLLC. Based in Washington, D.C., the firm provides its clients with cost-effective and personalized counsel in trademarks, copyrights, domain names, contracts, e-commerce, and online privacy and security. Paul is proud of his three college student children and lives in Bethesda, MD with his wife and pug. Being genuinely interested in disciplines involving science and art, and having kept pet fish, lizards, hermit crabs, and a dog as pets, a career in veterinary medicine seemed a logical hybrid of those interests. Dr. Mahaney entered the pre-veterinary program at the University of Delaware. To satisfy his creative urges, Dr. Mahaney writes a pet health column (Patrick’s Blog) and connects with animal aficionados worldwide through Q & A, videos, and radio interviews. He also guest blogs for Perez Hilton’s TeddyHilton.com,Fido Friendly, i Love Dogs, Veterinary Practice News, Healthy Pets and People with Dr. Patrick on OutImpactRadio.com, MSNBC Sunday with Alex Witt, and Pet Docs On Call. Recently, he’s lent his holistic veterinary perspective to Jackson Galaxy’s My Cat From Hell on Animal Planet. Sarah Rumple is a writer, editor, and social media manger for the American Animal Hospital Association (AAHA). She is also a Denver-based freelance writer and editor. Her work has been published on multiple websites including petside.com, petfinder.com, and examiner.com, as well as in USA Today’s Pet Guide, Denver’s 5280 magazine, and AAHA’s Trends magazine. She enjoys writing about parenting and pet issues, as well as fitness and nutrition for busy moms. Arleigh is a senior research scientist in the nutrition group of Nestle Purina PetCare. He uses his interests in nutrition and endurance sports to enrich the lives of animals. zine dog blog where dog lovers of the highest order unite,™ a consistently ranked Technorati top 100 pet blog. When Arleigh was growing up, a dog was always a part of his family life. Since 1988 Arleigh has studied incredible dog athlete’s exercise as a healthy, non-invasive, model for the stress all dogs encounter through the course of their lives. Arleigh has studied how nutrients are used during different types of exercise and, how nutrition can be used to support the immune system and the gastro-intestinal system during periods of naturally occurring stress. Brenda is a Director in Purina’s Marketing Team responsible for Purina’s work to build a better community with and for pets. Her responsibilities include Purina’s Pets for People initiative, where Purina works to provide support to the pet welfare industry. Brenda’s previous work experience was widely varied and included manufacturing, marketing and sales – all preparing her well for the innovative and challenging work she is responsible for now at Purina. In late 2004, Brenda took on her responsibilities with Purina Pets for People and has helped to grow Purina’s work to make a meaningful difference for pets in our communities since that time. Brenda has an undergraduate degree in chemical engineering from the Missouri University of Science & Technology, MS&T (ChE’86). Congressman Jim Moran is currently serving his twelfth term as U.S. Representative from Virginia’s 8th District, comprised of the Cities of Alexandria and Falls Church, Arlington County, and portions of Fairfax County, including Lee District, Mason District, Providence District, Mt. Vernon District, and Dranesville District. Throughout his two decades of service in the House of Representatives, Congressman Moran has demonstrated vigorous leadership in support of regional transportation solutions, the environment, women’s issues, technology, fair and open trade, and fiscal discipline. He is also well known for his efforts to protect federal employees and military retirees. I call myself an “Animaniac,” but pet fanatic is okay, too. Since I was six, I have had adoration, love & respect for all four-legged creatures. I also volunteer for causes including banning dog auctions, increasing animal cruelty penalties, BSL, etc. I have relationships w/ many legislators b/c of my level of activity & intimate knowledge of the political process, which aids animal welfare groups who are small or unfamiliar with the intricate process. Jessica currently serves as grassroots advocacy manager for the ASPCA Government Relations department, where she works with the Government Relations team to galvanize support for the ASPCA’s legislative efforts and public policy by hosting workshops, lobby days, and special events. Jessica works to mobilize citizen advocates to help the ASPCA secure the strongest possible protections for animals through the passage of humane legislation and regulations. David Meyer is a co-founder and President of Adopt-a-Pet.com, the world’s largest non-profit homeless pet adoption website, helping over 12,700 animal shelters and pet rescue groups reach three million potential pet adopters each month. He has conducted extensive research into the causes and solutions to pet homelessness. David also helped lead the post-Katrina pet rescue effort in New Orleans, directing over 1,000 volunteers in rescuing 17,000 stranded animals. Apart from his passion for helping animals, David is also a multiple-time world champion in Brazilian Jiu Jitsu and a trainer of top UFC mixed martial arts fighters. This competitive spirit informs his passion for success in being a voice for animals in need. As an award winning Ragtime piano player and raconteur, Ron Trotta has been breaking the ice at parties, events, corporate meetings, and at clubs for years. Ron is so renowned at engaging his audiences in song and entertainment, that he was personally invited by Former President George HW Bush to join him and Barbara Bush on a private yacht in Greece to “break the ice” with their guests. Ron was such a hit that he was asked to stay on board as their guest for another week! Ron also has stayed at their home in Kennebunkport and entertained for friends and family there as well. This year at the 2013 conference, we’re launching a little something new called BlogPaws Lunch Pack Leaders. BlogPaws has a full schedule with quality speakers and topics, but we know there is always more talk about and more to learn. Our Lunch Pack Leaders have compelling topics for conversation that will be heldover lunch on either Friday or Saturday. Sandy Mesmer published “How To Turn Your Dog Into A Show-Off” in 2002. As a recognized author things should have gotten easier — but they didn’t. So she investigated the brave new world of blogging. With a 200+ page website, Facebook reach approaching 3 million, a Maxwell for illustration under her belt and 2 more books, she is now doing just fine. At the same time, Sandy has a full-time career (she traveled 250 days in 2011) and regularly shows her own dogs. Tessier Silky Terriers has been in business since 1981 with 95+ homebred champions. How has she done it? That’s what she wants to talk about. The story of 2 Million Dogs began with a man and his two dogs who embarked on a walk from Austin, TX to Boston, MA inspired by the loss of his Great Pyrenees to cancer. Some of you have heard the story of Hudson, Murphy, and Luke Robinson. They walked from town to town sharing Malcolm’s story and educating people about cancer in dogs and as they built a nationwide grassroots movement, Mr. Robinson had a vision: 2,000,000 dogs walking simultaneously all across the United States for cancer. If 2 dogs could walk over 2,000 miles surely it was possible! Susanne Peach is an AAMET Certified EFT Trainer, teaching EFT (Emotional Freedom Technique) for over 10 years. She’s also an advanced EFT practitioner in Boulder, CO, and has also worked with a Fortune 500 CEO, an Olympic athlete, and professional actors. Her practice involves facilitating change for people and animals, creating healthier, happier more balanced lives. Susanne leads audiences in fun exercises that create instant results and produce life-long tools. She’s used EFT on animals to help them overcome physical, emotional and behavioral challenges. Her radio show, Animaleze, is dedicated to helping animals and their people. She is honored to have two amazing dogs in her family, Guinness and Samson, keeping her grounded and on her toes at the same time. Dana Humphrey, Owner of Whitegate PR, is a Marketing and PR Consultant in the pet industry. She launched Pet News Now with Co-Founder Amanda Leesburg. A FIT (Fashion Institute of Technology) Professor, Dana currently teaches Who’s Who in the Pet Products World: Makers, Shakers and Social Media and an Introduction to Pet Branding. Lydia Best is an original board member of 2 Million Dogs. She got involved in the organization after meeting Luke Robinson via a radio program that they were both doing. When her own English Bulldog, Daisy, was diagnosed with a heart based tumor, Lydia became heavily involved in what was at that time 2 Dogs 2000 Miles. She hosted Luke in her home during his walk from Austin to Boston, hosted several events for the organization, did the 2 Dogs 2000 Miles walk on Washington and the final walk into Boston. And Daisy, whom she lost in 2008, was voted the first Cancer Can’t Keep a Good Dog Down cover dog in 2009. SANDY ROBINS is an award-winning multi-media pet lifestyle expert, author, columnist, TV personality and spokesperson whose work documents the wonderful relationship that we have with our pets highlighting trends and innovative ideas as they happen. She is the 2013 winner of the Excellence in Journalism and Outstanding Contribution to the Pet Industry Award and her award-winning work is very visible on many of the country’s leading pet platforms such as MSNBC.com TODAYShow.com and AOL’s pet centric site Pawnation. She is a regular contributor and columnist in multiple national and international publications. Her blog in Modern Dog magazine is called Bark.Sniff.Play and is dedicated to our furry and fabulous canines. She also blogs for Sergeants Pet Health Central blog. This month (May) sees the launch of her new radio show called House Pets which will be part of the nationally syndicated On the House show which draws a weekly listenership of 1.2 million. Dr. Jessica Vogelsang is one of the most popular veterinarians on the web. A graduate of the prestigious UC Davis School of Veterinary Medicine with experience in both emergency and general practice, Dr. V- as she is known on her website- started her award winning blog pawcurious.com in 2009 as a way to share her enthusiasm with the world. Dr. V is a skilled writer known for making the complicated accessible, as a regular contributing author on Studio One Networks, pet360, Good Dog Magazine and Petfinder. She has been featured in multiple national outlets such as Ladies Home Journal, Outside Magazine, and USA Today. In addition, her personable demeanor and energy are a natural fit for video, and she is often spotted talking pets on Fox 5 San Diego and at the annual Helen Woodward Animal Center telethon. Keep checking back. We’ll be posting new information periodically! BlogPaws is proud of the amazing speakers who have joined our conferences. We are working on our schedule of speakers and will post updates as soon as they are available.